Everything has been studied down to the last detail to provide guests with impeccable service and make them feel at home. Rooms of different types and sizes can satisfy the many different requirements for both business and leisure travelers. The Standard rooms have all been renovated in September 2017, some with carpet, other with warm parquet floor. 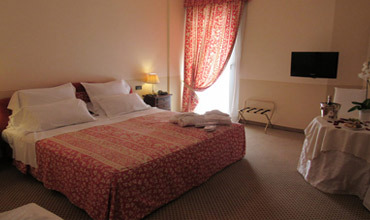 The Standard Rooms is also suitable for families with the possibility of adding a third bed. 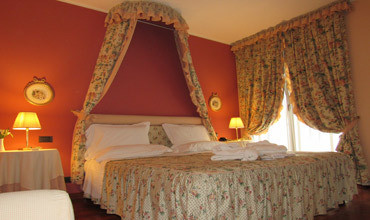 All our single rooms are equipped with queen-size beds. Bathroom with shower (some with bathtub), hairdryer, and courtesy kit. Superior Rooms: spacious lounge area with plenty of natural light. The Superior Rooms on the first floor has a large terrace, on the second and third floors they offer panoramic views of the hills of Turin: on fine days you can even see the famous Basilica of Superga. Plus offered included: complimentary mini-bar. 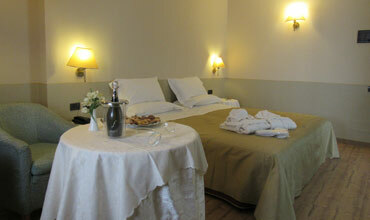 Our 4 suites are: Gardenia, Mimosa, Primula, Camelia. Plus offered included: complimentary mini-bar, newspapers, breakfast room service and private covered parking. Weekend late check out 3 p.m. 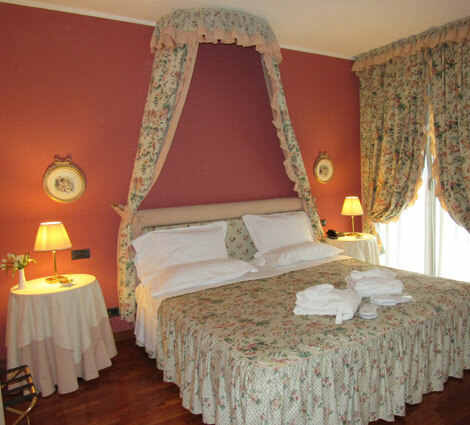 The Gardenia Suite is the most romantic, suitable for couples or as a Bridal Suite.